Magento Shipping and Payment for Customers Group Extension is a useful extension which allows admins to set up different shipping and payment methods for different customer groups. Once set up in the backend, only chosen methods for that customer group are allowed to be displayed in the shipping and payment section on the frontend. With Magento Shipping and Payment for Customers Group Extension, you can easily to choose customers group that is suitable with each shipping method in shipping method configuration. 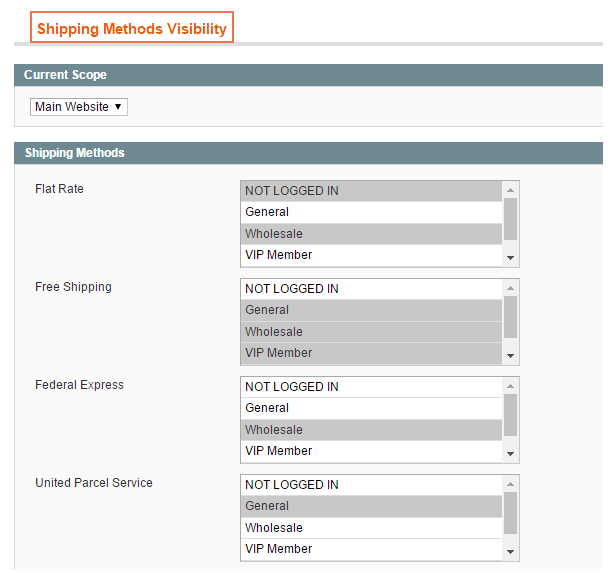 In frontend, shipping methods will display for only choosen customer groups. Similarly, it is entirely possible for you to set up which payment methods will display for each payment method in payment method visibility configuration. Why Magento Shipping and Payment per Customer Group’s your Must-have Extension? By default, all customers had to pass the same steps in Magento Shipping and Payment sections, and for some customers, many methods appear to be confused because they are not familiar with, for instance. Now, with this Magento extension, based on customers’ demand, admins can adjust the payment and shipping methods so that it is the most convenient and relevant for customers. This also mean that you can freely specific customer groups get special promotions of shipping and payment. For some groups of customers like wholesalers, they are the major customers who bring great benefits for your business. By setting separate shipping and payment methods, these types of customers can get privilege, for instance, free shipping or special shipping rate. As a result, only some suitable methods are displayed for them and their overall checkout process will be faster. You have several Magento customer groups and you want to treat each in different ways to perfectly exploit each group even with shipping and payment. This sometimes appears to be challenging for admins. By installing Magento Shipping and Payment method for Customer Group Extension, you will not be anxious anymore. When each customer group has specific shipping and payment method, it will much easier and convenient for Magento admins to manage. They now can add any customer group with specific conditions with ease. For Magento groups who are your principal customers, you may want to give them special advantages. This is not only a way to thank customers but also a very useful tip to get better loyalty from them. By giving each customer group a special benefit in shipping and payment, your customer will be more enjoyable and eventually, they want to have stronger attachment to your Magento store. Good job, I receive support 24/24 from the team, thank you for your support! One of the most interesting experience in my life, good quality and effective support, good job buddy! Can't complain anything! Both your service and module quality are impressed! Hope for co-work in the future! I am absolutely impressed with your support team. Good job, I will come back whenever I need support for my site. Thank you so much! Hearing about your extensions, firstly I have no belief that you can support me. But the result is surprisingly, I found everything I need from you. This is the evidence for the sentence: The most expensive one doesn't ensure the best one! Although I meet some trouble to express my ideas to optimize this one, it still was one of the most memorable experience for me. Thanks for waiting and solving all my problems! I don't know what to say right now, essentially when I start using this module. Increadible tool! Good job! 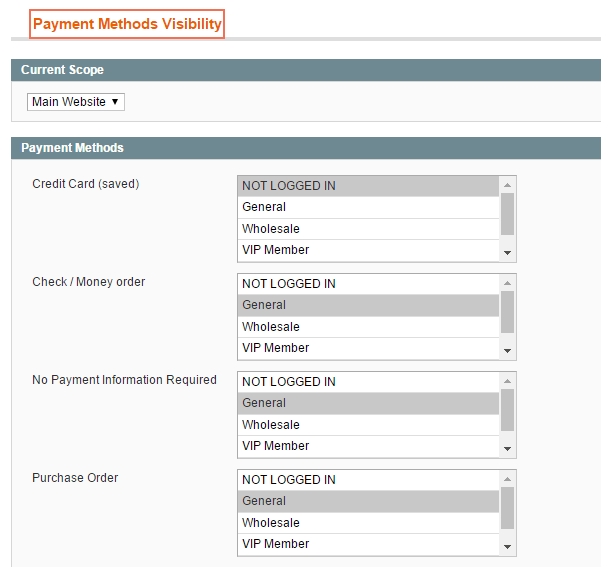 [Part 1] How to set up payment section in Magento site?